Xiaomi, one of the leading company from China finally launch its operation in India with the launch of Mi3 and Redmi 1S and Redmi Note. The Mi 3 is available at the price of ₹ 13,999 and Redmi 1S is priced at ₹ 6,999. Xiaomi partnered with Flipkart for sale and delivery of these products across India. Xiaomi also setup 35+ service centers with dozens more to come across India to provide the after sales service. 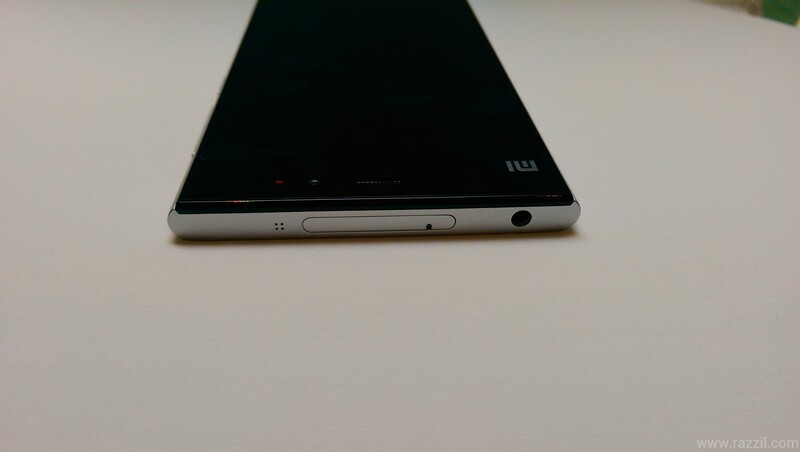 I spent some time with Mi3 and test how good the device is. This short review is based on my hands on at the Xiaomi India launch event in New Delhi. 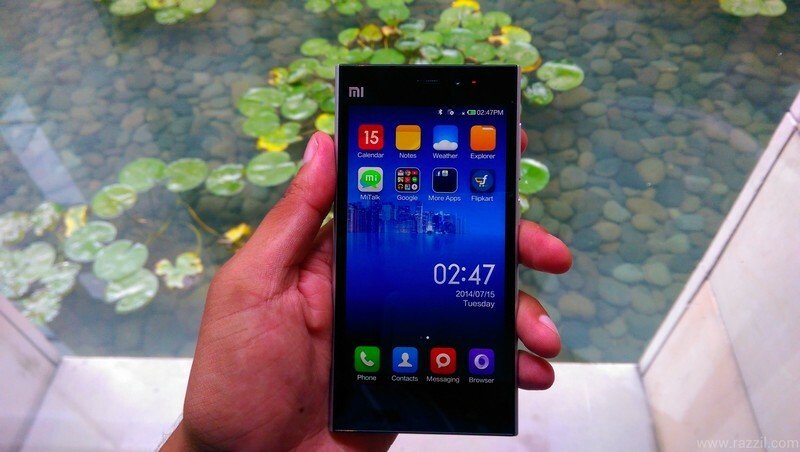 The Xiaomi Mi3 has a 5-inch Full HD IPS Display with 441 PPI and 1920×1080 Full HD resolution. The display is beautiful and feel good to your eyes. All the colors are more natural and I prefer IPS over AMOLED. In terms of Design, the Mi3 is a beautifully crafted device with 8.1 mm thin in size. They made the body with magnesium alloy frame coated with three layers of thermal graphite. 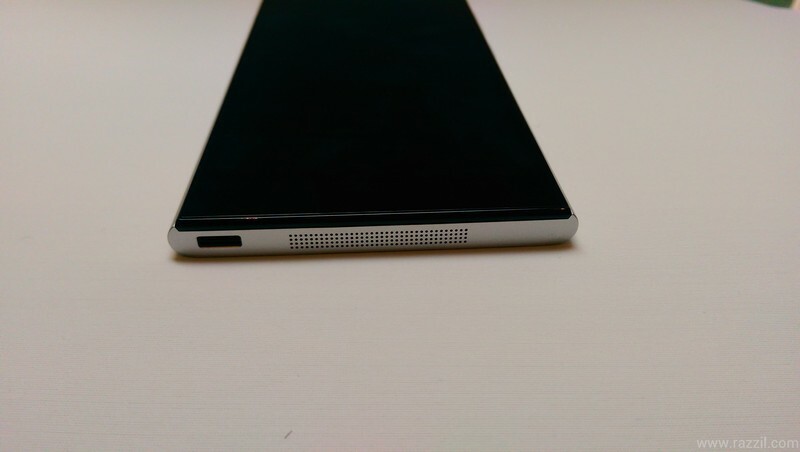 At the bottom of the phone, you’ll find 120 laser-cut speaker grills and metal-reinforced USB port. I personally don’t like the USB ports, it’s just impossible me to guess which USB side is correct. On the right hand side of the phone, there are volume buttons and power button. On the top, there are SIM slot, 3.5mm audio jack and speaker grill. The build quality is solid and no other company will provide that build the quality in 14K price range. Top notch device and feel good in my palm. 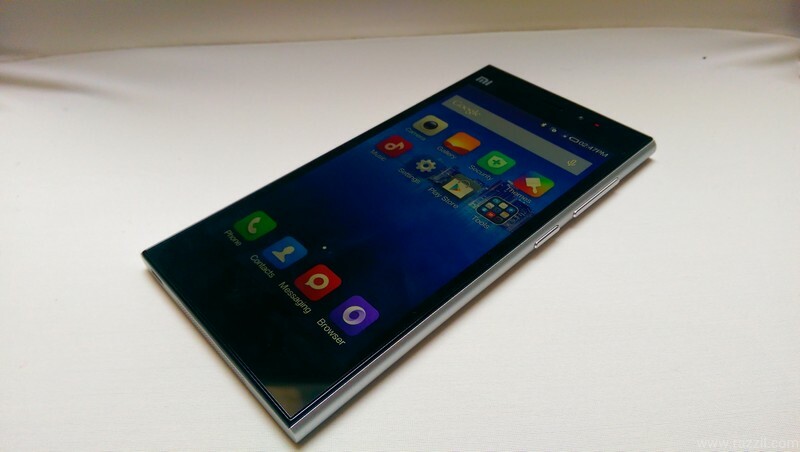 Xiaomi is using a customized version of Android called MIUI which is based on Android 4.4.2 KitKat. The OS is super fast and responsive and i didn’t feel any lag at all. The OS is continuously getting updated by the community which works with Xiaomi engineers. I’m not going into Detail on MIUI as i need more time to explore all features of MIUI. The UI is completely different from normal Android UI which we have seen in HTC, Nexus, Samsung, Motorola etc. The Mi3 has 2.3 GHz Qualcomm Snapdragon 800 processor mated with Adreno 330 GPU. The Snapdragon 800 is very powerful CPU from Qualcomm and the processor is loaded in powering many high end devices. They also improved the software so that you’ll get maximum performance from the CPU. The device has 2GB of RAM and 16GB of Internal Storage and 10GB of Free Cloud storage. Out of 16GB, 13.22 GB is available for users. The device has enough memory for day to day life, but the missing MicroSD card is surely disappointing you. The Mi3 is equipped with 13 MP rear camera with f2.2 aperture, 28mm wide-angle lens and dual LED flash. They’re using Sony sensor and the day light performance is pretty good with Mi3. I didn’t test the low light photos so can’t say anything right now. In front, you’ll find 2 MP camera with an improve the skin tone feature. Both Cameras can record full HP 1080p videos. You can check few shots I captured from Mi3. 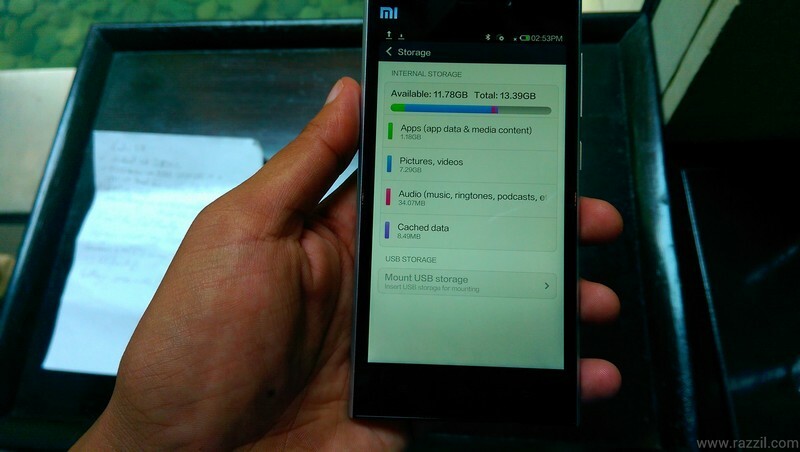 If you’re waiting for decent phone under ₹ 15,000 then you can buy Xiaomi Mi3. The device shine in almost every department and even has good battery capacity. The Mi3 is available only on Flipkart and company don’t have any plan to sell on local store. The sell will starts from 22nd June 2014. Make sure you registered before 21st Midnight otherwise you won’t be able to purchase the device. Registration link is given below.